The holiday season is upon us, and you know what that means: Time to unpack the decorations and get into the festive spirit. Unfortunately, another byproduct of this time of year is added expenses. 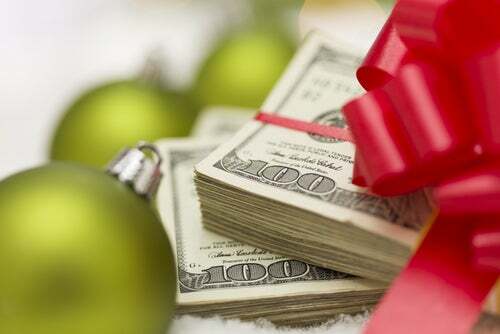 Shopping for gifts and planning family gatherings are expected, but what about the sneaky expenses? Keep your eye on the following budget-busters this year. Without proper attention, they could threaten your savings account and credit goals. You may be wondering how a party is considered “sneaky.” After all, they require planning and effort to pull off, right? –True enough, and while the cost of throwing one party may not tug at your purse strings, the cost of throwing or attending many is a different story. Parents are especially vulnerable to catching the holiday party bug. Kids’ class parties, friends’ parties, school plays and pageants all require a level of parental involvement, usually in the form of a dollar sign. If you are the take-charge type, step back before volunteering to plan and execute every event. The same advice applies to singles and child-free households. While you may love to host a bash, how will footing the bill affect your ability to pay your own? Will your plans of debt reduction and savings suffer? Is the value of credit repair worth sacrificing? Keep these questions in mind and practice some moderation when it comes to celebrating. It is possible to participate without breaking the bank. Opening your home to family and friends is fun and comforting. Unfortunately, your electricity, gas, and water bills are bound to provide less-than-comforting increases this time of year. This unavoidable cost is no reason to change your plans, however. Instead, plan for the extras now by factoring a 10-15 percent increase into your utility budget. If you’re worried about the additional costs, make an effort to cut back in other areas during the temporary change, allowing your budget (and your credit repair goals) to stay on track. The holidays are about sharing and giving. Give yourself the gift of planning. The holidays wouldn’t be the same without traditional food and drink. That said, there’s nothing wrong with “trimming the fat” when your budget depends on it. Don’t enter the grocery store without a cost reduction plan in place. Choosing items without looking at the price tag is a great way to sink your budget fast. This year, skip the expensive bottles of wine and find a sensible alternative. If your family is large, float the idea of organizing a pitch-in to temper the cost of entertaining. The bottom line: When credit repair is a priority, budgeting is imperative. Don’t let your goals fall by the wayside this holiday season. Set yourself up to enjoy the festivities and keep your credit score in check. Debt is never part of a happy new year.